Launched in 1934, the Multifort is one of Mido’s emblematic collection as well as one of the longest-produced series in the history of Swiss watchmaking. 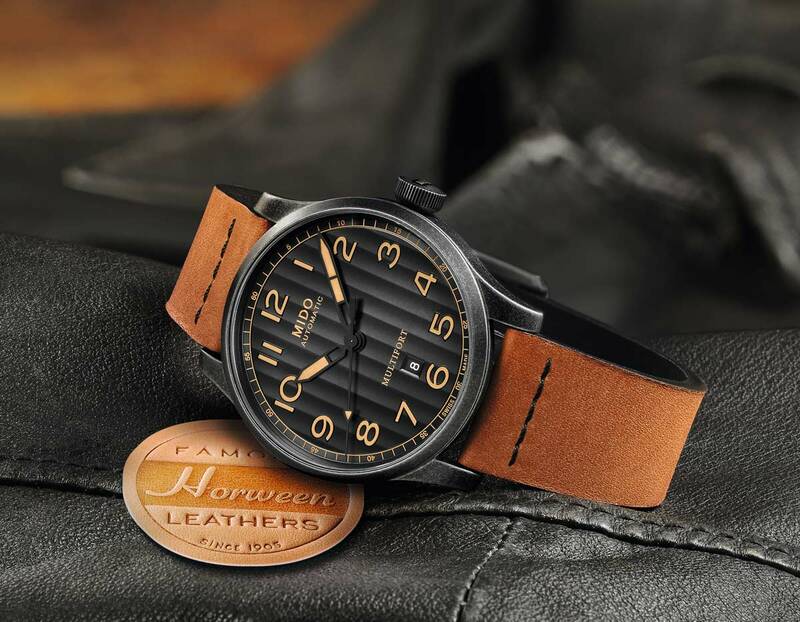 For the Multifort Escape Horween Special Edition, Mido partnered with renowned leather tanner Horween, an American brand founded in the early 20th century. This original model comes with a sturdy 44mm case in stainless steel with aged and sandblasted black PVD treatment. 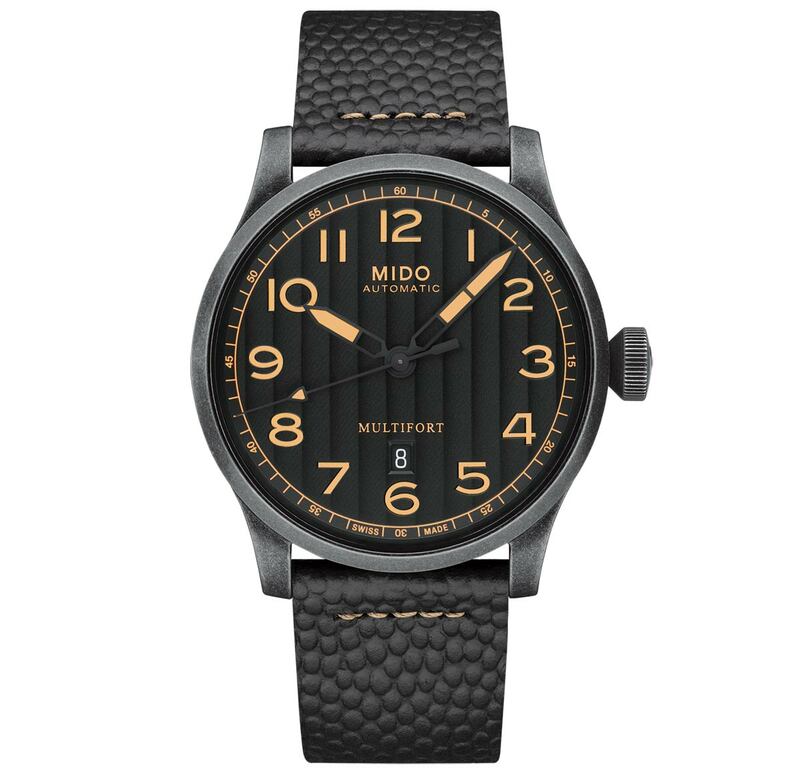 Inspired by a Multifort of the 1940s, the Multifort Escape is Mido’s largest three-hand model. 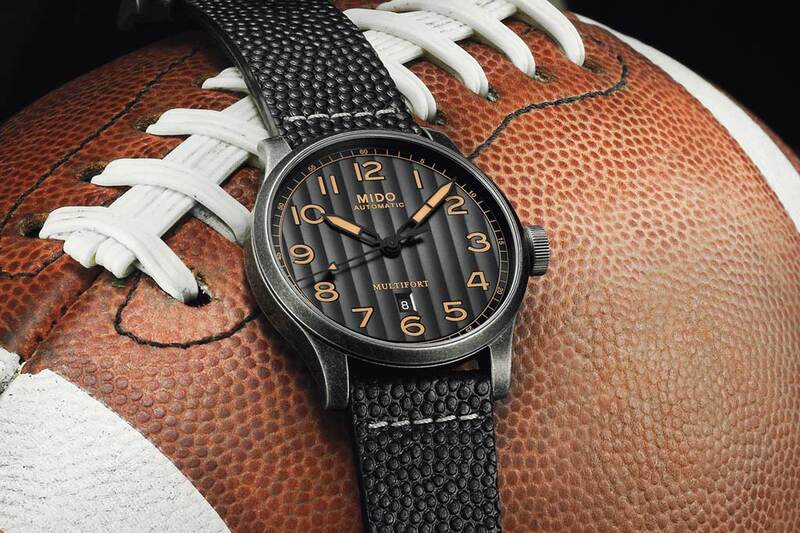 The wide opening of the black dial is decorated with vertical Geneva stripes. It is also protected by a domed sapphire crystal with anti-reflective treatment on both sides. The large touches of beige Super-LumiNova on the numerals, the skeleton hour and minute hands, and the tip of the seconds hand ensure perfect readability in all conditions. The date is displayed in an aperture at 6 o’clock. The watch is supplied with two easily interchangeable Horween leather straps: the Essex, in brown genuine calfskin, whose patina will develop over time, with black stitching, and American Football in black genuine calfskin with beige stitching – the official leather used by Horween to manufacture American footballs for over 70 years. PVD treatment. The Multifort Escape Horween Special Edition is equipped with the Caliber 80, a 4 Hz (28,800 vph) automatic movement providing a remarkable autonomy of up to 80 hours of power reserve. The transparent case back displays the movement and its oscillating weight adorned with Geneva stripes and the Mido logo. Mido Multifort Escape Horween Special Edition. 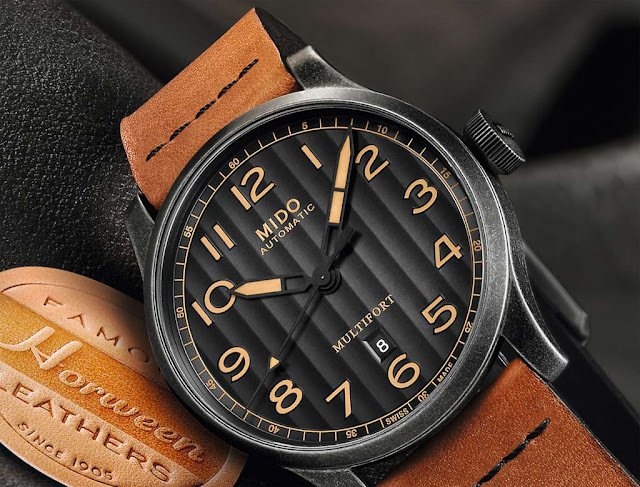 Launched in 1934, the Multifort is one of Mido’s emblematic collection as well as one of the longest-produced series in the history of Swiss watchmaking. For the Multifort Escape Horween Special Edition, Mido partnered with renowned leather tanner Horween, an American brand founded in the early 20th century. 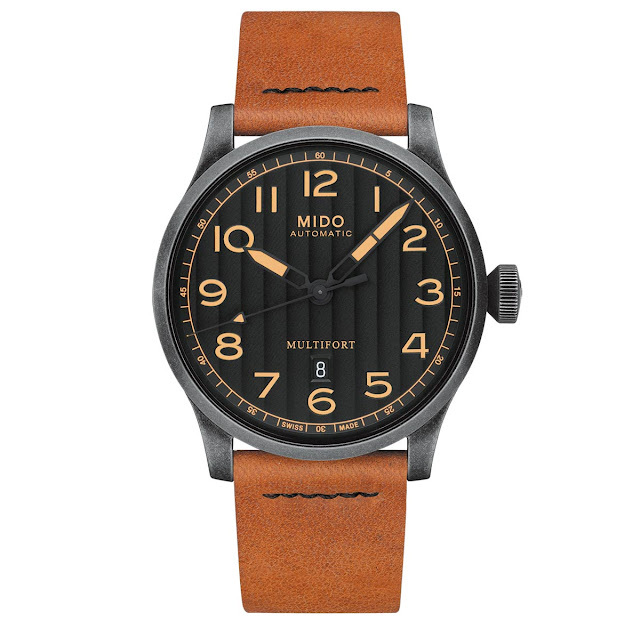 The Mido Multifort Escape Horween Special Edition (ref. M032.607.36.050.99) has a retail price of Euro 950.